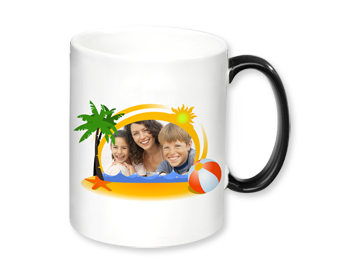 Great fun at home and at work! 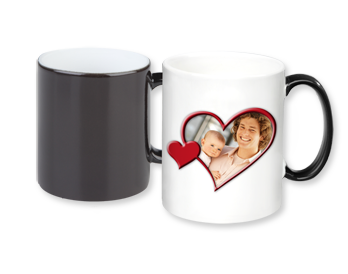 The magic photo mug turns black at room temperature. 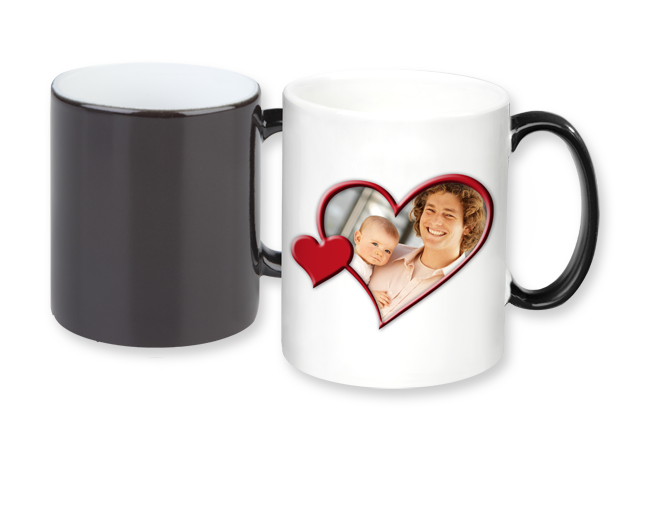 It surprises the observer as the coating turns transparent as it heats up with a hot drink: The photo magically appears! The process can be repeated as often as you like. 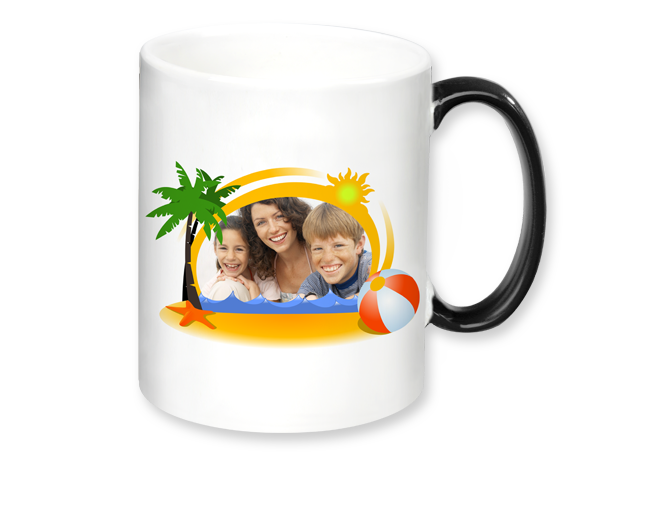 Make your photo mug stand out with one our many design template options.